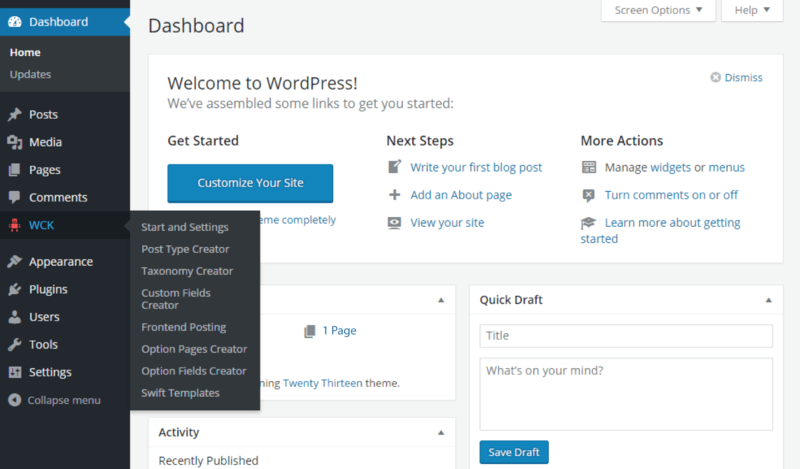 1.4 Where is WordPress Creation Kit located in the navigation menu? 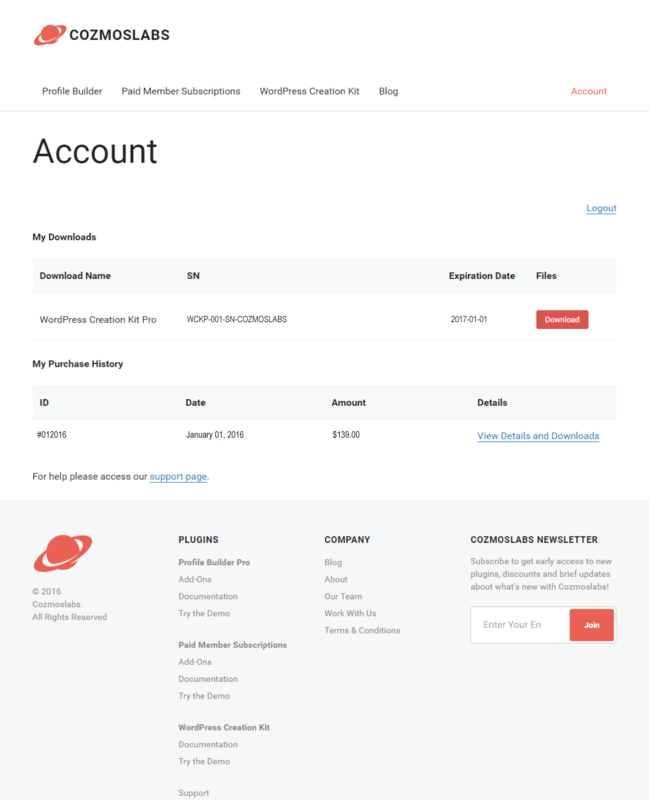 WordPress Creation Kit helps you develop intuitive WordPress sites, easily manageable by your clients, in half the time and without writing a single line of PHP code. 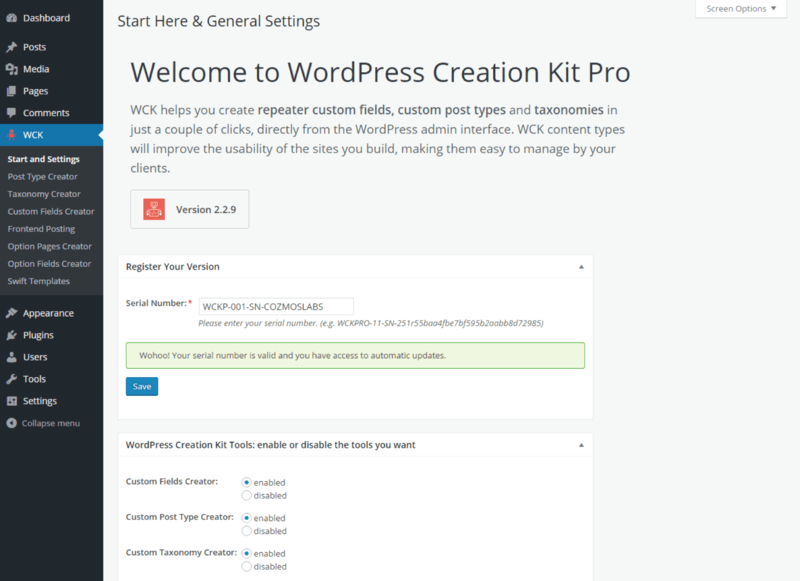 With WCK you can create repeater custom fields, custom post types and taxonomies and build your front-end templates directly from the WP admin UI, in just a few clicks. 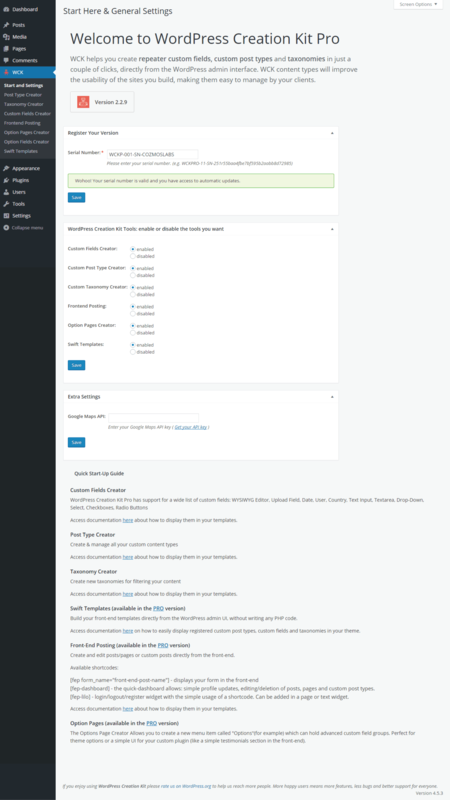 WordPress Creation Kit comes in two premium versions: Hobbyist and Pro. You can see the complete set of features for each version here. 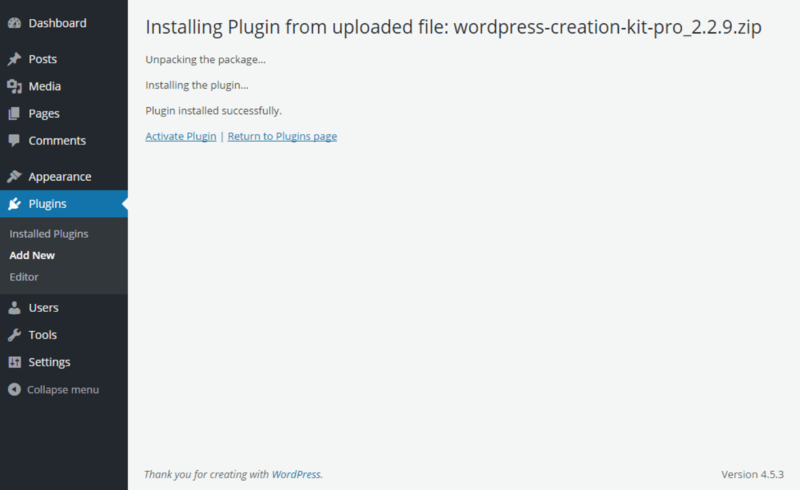 WordPress Creation Kit installs and is activated just like any other WordPress plugin. After purchasing a license, you’ll receive an email containing the information to access your account and download the .zip archive containing all the plugin files. After logging into your account, you’ll also see a list of all your downloads and purchase history. Where is WordPress Creation Kit located in the navigation menu? After the installation and activation, you will find WCK menu icon just below the Comments tab. The Start and Settings tab gives you an overview of all the WordPress Creation Kit modules and how to make best use of them. Here you will be able to Register the plugin, activate the modules, add the Google Map API key and also access the documentation for each module. Now that you’ve acquired a copy of WordPress Creation Kit Pro or Hobbyist, you should take the time and register it with the serial number you received. Registering your version of WordPress Creation Kit is needed in order to receive automatic updates, bug fixes and premium support. Simply go to the Register Your Version tab from the WordPress Creation Kit -> Start and Settings menu and add your serial number.